I cannot image my childhood without Lisa Frank. Unicorns, dolphins, and any sort of girly item they could make would grace my folders, Trapper Keeper and pencils in all their bright and colorful glory. Let's Be Frank, a red-toned, electric violet purple is a blast from my Lisa Frank sticker-filled past. 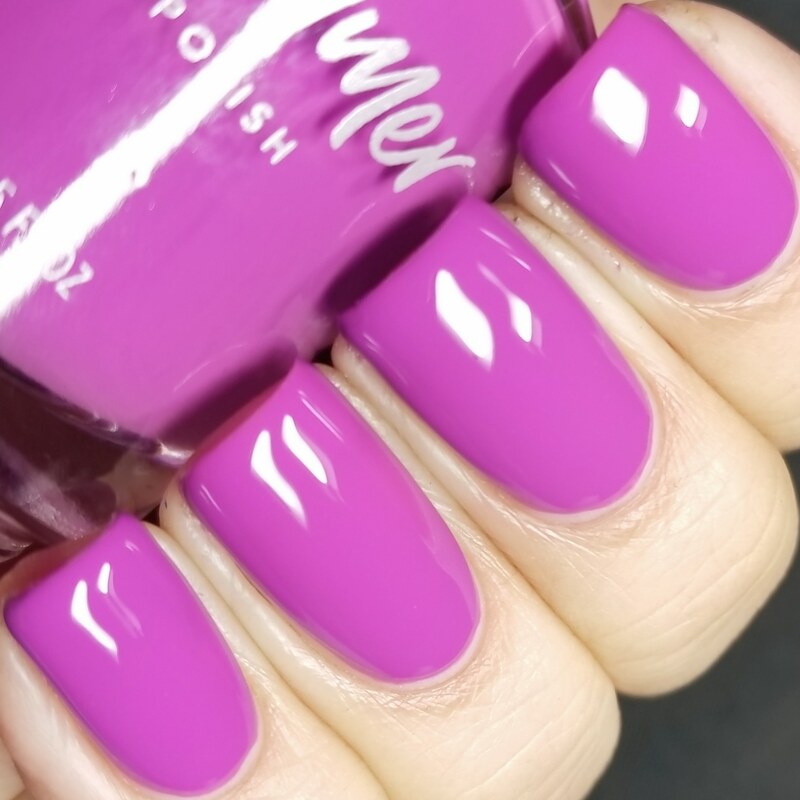 Don't have a cow man - this shocking shade of purple is one that FREAKS out cameras and monitors. We find that our iPhone shows the most accurate color on the splat photo. The All The Bright Moves collection consists of 6 juicy shades that are almost crelly-like in formula. These shockingly bright shades are inspired by the late 80's and early 90's of my childhood. Each covers well in 2 coats without a white base, but those with longer nails may prefer 3 coats. Notes: This vibrant polish is so near neon in color it can freak out the camera. Monitors can show colors differently than they are in person, but each neon shade in the All The Bright Moves collection is bright and vibrant. All blogger photos are from the same batch of nail polish. Variations are caused by cameras, lighting, and skin tones. 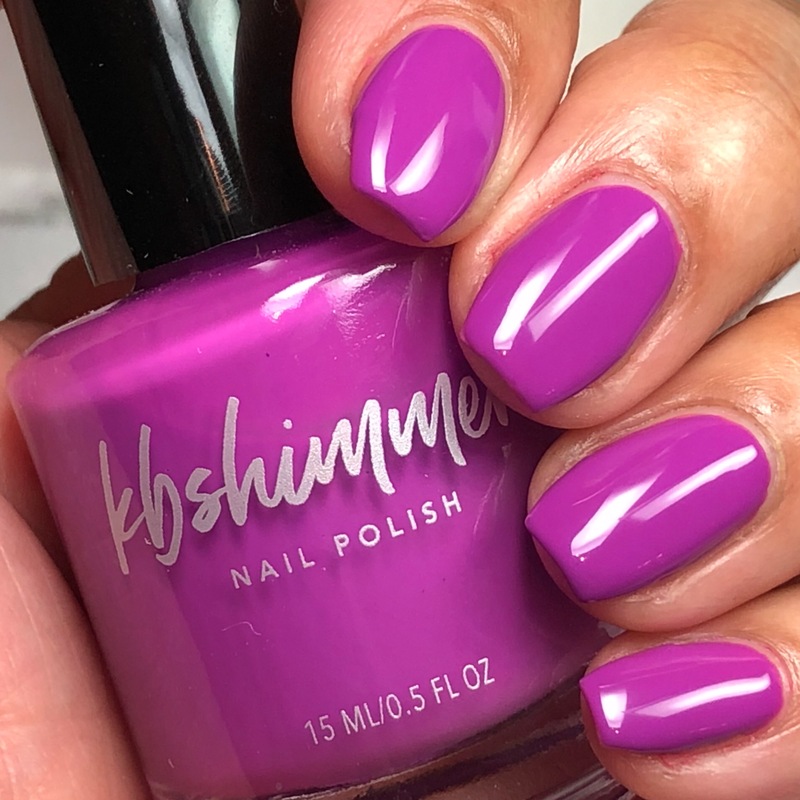 Can us 90s children take a moment to appreciate the name of this polish? Okay, moment over. Now let's talk about this gorgeous color. A beautiful neon purple to add to your neon collection and watermarbles beautifully! Such a pretty cream polish, love it! This color was murky and not at all vibrant. It looked nothing like the picture and was lumpy looking, not self leveling. I am so disappointed. Creamy fomula, easy 2 coat application. No white undie needed, highly pigmented. The color is so vibrant and bright. Love, love, love it!